Liposuction London : What is the difference between laser liposuction and liposuction? laser liposuction is a liposuction technique that has been refined in order to be more precise, less aggressive with a faster recovery time. The basic concept of liposuction (sucking out the excess fat) remains the same. Dr Vidal offers laser liposuction in London at the Skin Oasis Clinic. Laser liposuction is done with a tumescent local anesthesia which means minimal bleeding and faster recovery. Thinner canulaes are used for a laser liposuction. Traditional liposuction is done with a general anaesthesia or a deep venous sedation. Laser liposuction does not require hospitalization . There is no risk due to a general anesthesia. Laser Liposuction is a laser assisted liposuction. The use of the laser will melt the fat, lower the bleeding, lower the risk of infection. The laser gives a very good skin tightening during the months following the treatment. 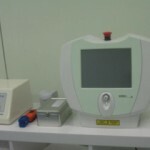 Nevertheless, once the laser has been used, the fat will be sucked out exactly like with a traditional lipo but with less trauma for the body. This will be done with smaller canulaes. What are the Laser Liposuction costs ? As there is no hospitalisation, no general anaesthesia, laser liposuction prices are usually lower. Prices are usually between £ 1800 and £ 3000 depending on the size of the treated body surface and the technicality of the work. 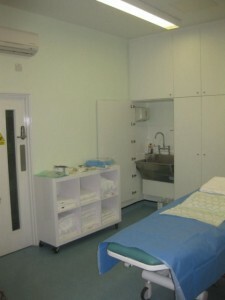 For instance the average cost of the procedures pictured on this website is £ 2200. Prices are all inclusive (previous consultations, follow up, compression garment). What is the difference between Vaser liposuction and Laser liposuction ? Those two cosmetic procedures are very similar. Vaser uses ultra sounds to bring heat into the dermis and hypodermis (fat) when Laser lipo uses a unidirectional light (laser light) to do the job. Dr Vidal prefers the laser as he thinks it gives him a better control on how this energy (heat) is distributed to the tissue. Therefore more control on the safety and risk of burn. To date (2015) he has never experienced a burn with this laser technique and he started in 2006. Liposuction, laser liposuction, vaser liposuction are all procedures where the fat is removed and the body is actually sculpted. They are medical and surgical techniques performed by trained medical doctors. Be aware that lot of publicity is done today about “soft laser lipo” procedures that are low intensity laser light treatments. These treatment are completely different. They are non invasive procedures (just a light applied onto your skin) and performed by therapists, no fat is removed at all. Obviously do not expect the same results, if any. What are the risks and side effects of a laser liposuction ? Like with any invasive procedure, there is a risk of infection. A course of antibiotics is systematically prescribed for five days. There will be a leakage the first night after the treatment. This is simply the local anesthesia leaking from the incisions made for the liposuction. You will be given spare absorbing pads to change them when needed. There can be some changes in the sensitivity of the treated area. They will disappear after a few months. Working with a local anesthesia eliminates all the risks seen with a general anesthesia and hospitalization. How long will it take to recover from a Laser liposuction ? The bruising will take around ten days and will be minimal because every step of the laser liposuction is done in a way to keep the bleeding to a minimal level. Below an example of a laser liposuction aspect before, at the end of the procedure (dressing) and only 7 days after. Incisions are less than 3mm and are closed in a few days. The bruising is minimal. Swelling is still noticeable and will take a few weeks to settle down. A gentle massage with a moisturizer is recommended after the first week when incisions are closed. This is done in order to help the lymphatic drainage and speed up the recovery (click on the pictures to enlarge ). Patients are usually back to their normal activities after 2 or 3 days. The gym is resumed after two weeks. A compression garment will be worn for two weeks (or a little bit more depending on the age, skin quality etc). A full result like the one below will take over 6 months because this is the time needed for skin retraction and tightening. 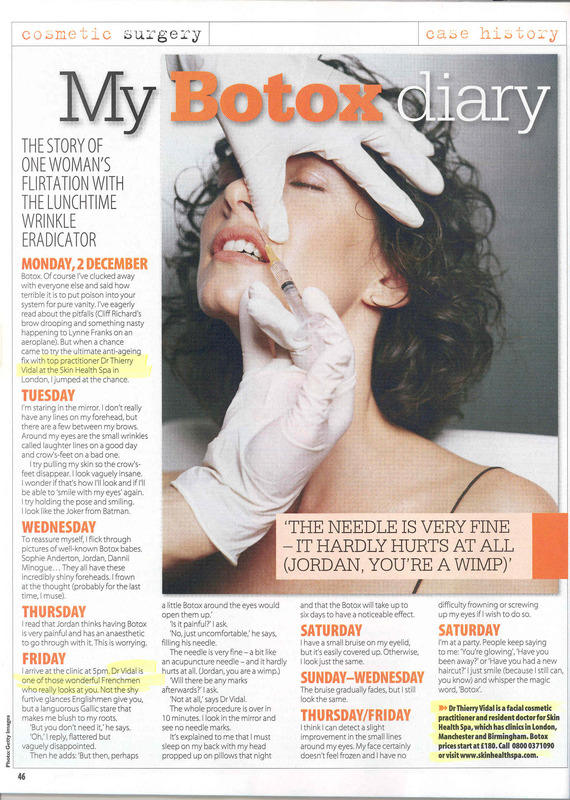 We strongly recommend a course of manual lymphatic drainage after your laser liposuction. This will greatly speed up your recovery and comfort. 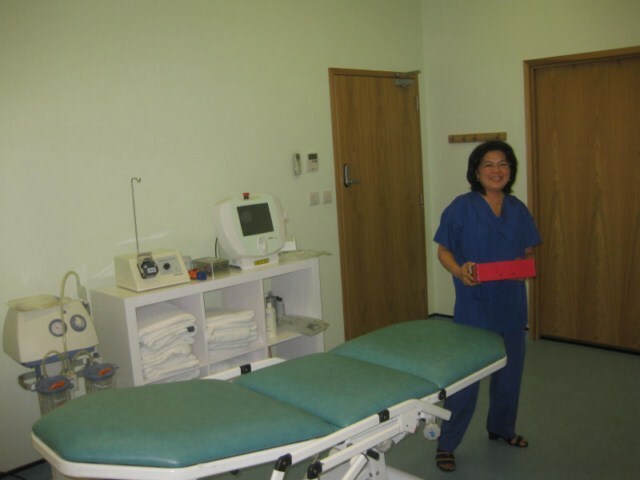 The Skin Oasis clinic has a qualified physiotherapist who offers this service. Is Laser Liposuction safe ? Laser liposuction with local anesthesia is a very safe procedure. You can read this safety of laser liposuction article done with a 980-nm diode laser OSYRIS. 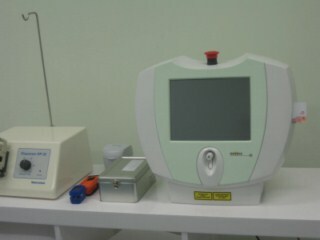 This laser is the one used by Dr Vidal. You can read here an abstract of a 2011 liposuction safety study about liposuction with local anesthesia on a review of 4380 procedures performed between 2003 and 2010. All these study conclude to the absence of serious complication after a laser liposuction when the proper technique is respected. 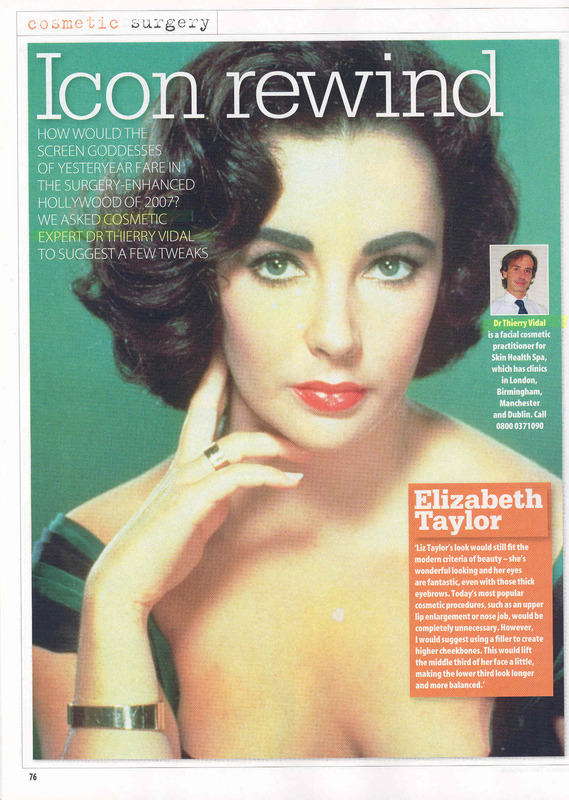 Will the fat come back after a laser liposuction ? No. The fat that has been removed cannot be recreated. The shape of the body is changed. If you put on weight after a laser liposuction you will do so keeping the new shape. Laser liposuction is not a treatment for weight loss. It is a treatment to improve the shape of your body, not your weight. How do I find a compression garment ? You don’t have to worry about this. The garment is very important and is part of the treatment so it is included in the price. A garment adapted to your size and the treated area will be given to you on the day of the procedure. The same is true for your follow up visits. There are no hidden or additional costs. Where my laser liposuction will be performed ? Your consultation, liposuction and follow up will take place in London at the Skin Oasis Clinic 25/27 George Street W1 London. The clinic is fully registered with the Care Quality Commission and offers the highest standard facilities for laser liposuction. Facilities are designed to preserve your privacy and comfort. Laser Liposuction information on a website cannot be completely exhaustive. A complete information about the side effects, risks and recovery will be given to you during your first consultation with Dr Vidal at the Skin Oasis laser liposuction London clinic. You will be explained every step of the laser liposuction procedure with pictured examples to help you making your decision with the most comprehensive information. Each patient is different and needs a personal information adapted to his situation, age, skin type, personal medical history.